Plastic consumption has grown at a tremendous rate over the past two decades as plastics now play an important role in all aspects of modern lifestyle. Plastics are used in the manufacture of numerous products such as protective packaging, lightweight and safety components in cars, mobile phones, insulation materials in buildings, domestic appliances, furniture items, medical devices etc. Because plastic does not decompose biologically, the amount of plastic waste in our surroundings is steadily increasing. More than 90% of the articles found on the sea beaches contain plastic. Plastic waste is often the most objectionable kind of litter and will be visible for months in landfill sites without degrading. There are three basic ways in which communities can offer plastic collection services for plastic bottles and containers. The first, and most widely accessible, collection method is curbside collection (also known as kerbside collection) of recyclables. Curbside recycling programs are generally the most convenient for community residents to participate in and yield high recovery rates as a result. Communities that provide curbside collection generally request residents to separate designated recyclables from their household garbage and to place them into special receptacles or bags, which are then set out at the curb for collection by municipal or municipally-contracted crews for its transfer to the recycling facility or materials recovery facility (MRFs). The second collection method is known as drop-off recycling. In this method, containers for designated recyclable materials are placed at central collection locations throughout the community, such as parking lots, religious places, schools, malls or other civic associations. 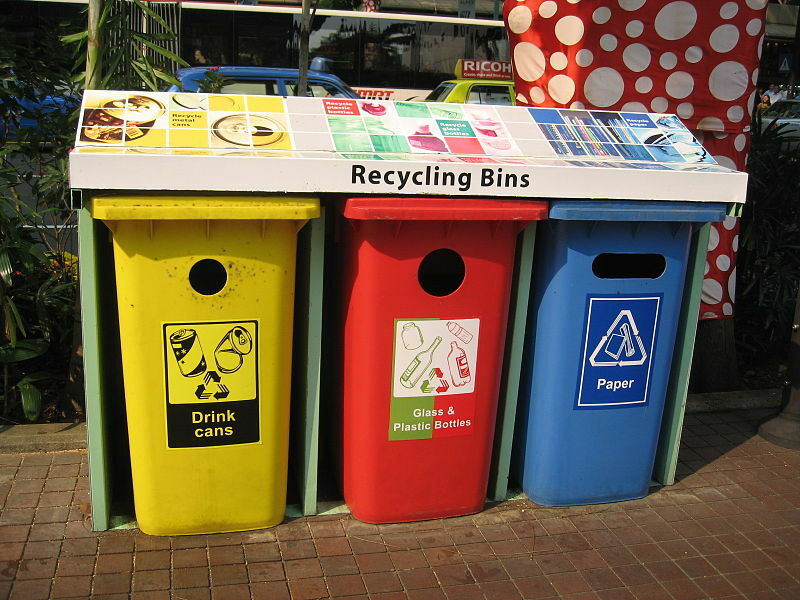 The containers are generally marked as to which recyclable material should be placed in them. Residents are requested to deliver their recyclables to the drop-off location, where recyclables are separated by material type into their respective collection containers. The last collection method employs the use of buy-back centers. Most buy-back recycling centers are operated by private companies and pay consumers for recyclable materials that are brought to them. Buy-back centers usually have purchasing specifications that require consumers to source separate recyclable materials brought for sale. These purchase specifications can greatly reduce contamination levels and allow the buy-back center to immediately begin processing the recyclables they purchase, while providing consumers with an economic incentive to comply with the specifications.